Effective November 23, 2016, all .EU domain names will no longer have a Renewal Grace Period. Any .EU domain expiring on or after November 23, 2016 will be deleted immediately, if not renewed before that date. .EU domains still retain the Redemption period, so any domain that has been deleted will be subject to a redemption fee plus the domain’s normal renewal fee if needed to be renewed. We at Register4Less.com of course would prefer to avoid this additional fee on the domain’s renewal, so it is imperative to not allow .eu domains to expire unless you fully intend to drop the domain. If you have questions regarding this, please don’t hesitate to contact our support team. On December 1st, 2016, ICANN will require all accredited registrars significantly change how they handle domain ownership changes. Briefly, it will no longer be possible to update the domain owner’s contact information by simply logging in to manage the domain and submit a new set of contact data. Currently, the only type of transfer of a domain that requires confirmation is the Inter Registrar transfer which is governed by ICANN’s Inter Registrar Transfer Policy. The process of transferring a domain from one registrar to another will still follow the confirmation process with the domain’s current administrative contact. The current contact must click a link sent to the contact in the current Whois record for the domain being transferred. The admin contact must confirm the transfer with the current registrar, and may confirm the transfer away from the current registrar. 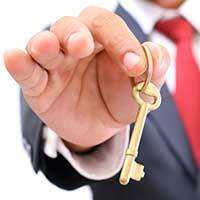 Register4Less (R4L) will first check if the domain name is eligible for a change in the owner’s contact. If the domain is not, the contact update will not be saved and a message presented to the user stating why the domain cannot be updated at this time. R4L will send an email to the current owner contact requesting they (or their designated agent) approve the change. If that email is not responded to favourably, the contact change is rejected. Once confirmed by the current owner contact, R4L will send an email to the new owner contact requesting they (or again, their designated agent) approve the change. Note, the previous and new owner contact may be the same address. Both emails need to be confirmed in order for the update to complete. If / when both confirmations are positive, R4L will then send an email to both contacts confirming the update. The R4L Team will post updates to this procedure as they develop. This is part 1 of a 2 part post. You’ll find Part 1 of this post here. WP Spam Fighter checks two different parameters to the comment submission. If any hidden fields were completed with the comment submission. If the time is too short or fields that are hidden from the screen (but visible to a bot) are filled in, the comment will be rejected outright, as these don’t follow human behaviour. A lot of sites will use a captcha with the form that needs to be entered in correctly in order for the comment to be accepted. While captchas certainly will help reduce spam, it puts the load on your visitor to fill this in correctly, and you risk annoying them or stopping them from submitting a valid comment. 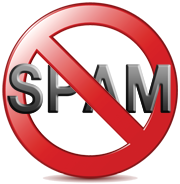 The Anti-Spam plugin stops spam comments, registrations, orders, bookings and more, all without the need of a captcha. The recommended plugins only take a matter of minutes to install onto your WordPress site, and once activated, will go to work for you in the background to prevent spam comments and ping backs. Disabling comments on older posts can be simply the matter of doing a quick edit on the last post that has comments / ping backs enabled when you publish a new post. Just a habit to get into. With these practices and plugins in place, you should see a dramatic reduction in the amount of spam that comes in from your WordPress site. Usually, for the weekly blog post we try to write about something informative, about a new service we’re rolling out, etc. This past Wednesday, though, we had an interesting incident in our support team we’d like to share with you. Mid afternoon, William Wakely, an relatively new customer for Register4Less, contacted our support via the secure online chat on our website. He was reporting that overtime he logged our of his account, his password would get reset. He was able to log back in by using the email that is sent with the Lost Password function. Passwords of course will not reset themselves. The only way for a password to get changed is for someone that is already logged in to go to the menu Profile > Change Password and submit a new password. Once we were able to confirm William was the true domain owner, we asked him to check the Login Security Agent (LSA) page (also under Profile). Sure enough, William was able to see there was another login session active from a different IP address. William provided us with the IP address, and we were able to see this was coming from a different internet service provider from his, and not one that he recognized. William had not yet setup the LSA kill password, so he did that while we were still on our chat session, and once set up, terminated the other person’s login session, and then reset his password. We don’t actively track how frequently the LSA kill session function is used, though we could if we went through all of our log files. It was however interesting and rewarding to be chatting with a customer and help them use this function live. With any other registrar, the customer and true domain owner would not able been able to kick the other person off of their account, so resolving this problem would not have been easy. LSA saved the integrity of William’s account! On Mobile devices, the chat icon will look like the green bubble image you see on the right. The chat application works on all operating systems, tablets & smart phones, not only for you, but from our end as well. This gives our staff the ability to answer a chat and help a customer even if away from the office. Our support agent can see what you are typing as you type, allowing us to respond more quickly. Under Options, you can upload a file (show us a screen shot of the problem you’re having for example), email or print a transcript of your can’t, etc. 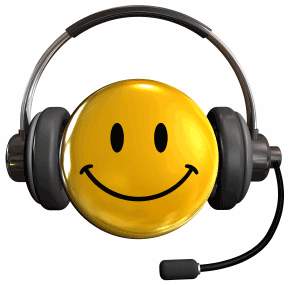 The team here at R4L always tries to do our best to provide you with the best possible customer service, and we’re all very excited about this new tool that will help extend our hours of support, and provide you with a better customer service experience. R4L Poll Results are in! Do you wish Register4Less.com to add an automated telephone notification for domain names that are to be deactivated? Clearly, the overall preference is to add this service, and our team are now working on getting this live. We have already updated the messaging preferences page to have allow you to opt out of telephone notifications for either domains that are to be suspeded due to expiry or contact not being confirmed. The default for both of these is enabled, so if you do not wish phone notifications, please log in and update your preferences (Profile > Messaging Preferences). Posted in Domain Registration | Comments Off on R4L Poll Results are in! The poll is now open. Please click here to cast your vote. 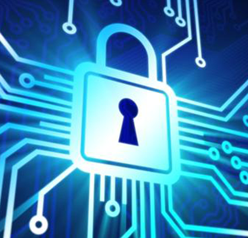 ICANN requires all accredited registrars to verify new contact information for domain owners. 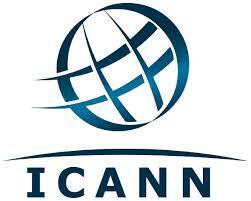 If you would like to read ICANN’s policy regarding Whois accuracy, please click this link. Currently Register4Less.com manages this process by an email that we send to the new contact email address. This email contains a link for the domain owner to click to verify their address. In the event that the email sent to the domain registrant bounces or if the link in the email that we send is not clicked, we are required to place a clientHold on the domain name. This will prevent the domain from resolving, so any web hosting or email service will stop working. It does happen that people will sometimes ignore the request to verify, or their spam filter will mistakenly block the email (please, whitelist in your spam filter email coming from any address @register4less.com). In cases like these, the verification doesn’t happen, and the domain in question will be suspended. Register4Less.com as you hopefully know tries to provide the best possible customer support, and tried to do this in the most streamlined, efficient manner possible. Our support team have dealt with some customers who have understandably been upset by their domains being suspended due to this process. Our team have been discussing options to improve notification. Having our support staff call is not an efficient way to handle this, so the solution we are proposing would be to have an automated notification call to the phone number on file for the domain owner. There of course would be an option to opt-out of this type of notification. We have added a poll on our blog site for you to be able to cast your vote. As always, if you’re an R4L customer reading this, thank-you for your continued business! 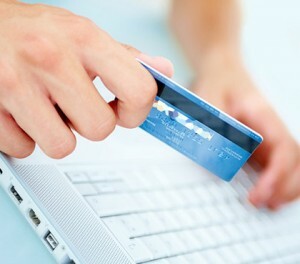 Accepting credit card payments online has always carried risks for online businesses such as ours. Fraudsters get ahold of credit card data, and will attempt to make online purchases with the stolen credit card info. Once the card’s owner realizes there are charges on their card they’ve not authorized, they call the bank that issued the card to dispute the purchase. This has the effect of reversing the purchase, so the vendor does not get paid, and will also get charged an additional chargeback fee.